When it’s too cold for gloves (generally around 10 degrees F), a good pair of mittens is crucial to enjoying wintertime activity. You sacrifice dexterity for cozy digits, but that’s the price of warmth in the rock-bottom cold months of the year. Over the years, we’ve tested many pairs of top-tier mittens that meet the cold-weather challenge. Whether you’re an outdoor enthusiast who skis, climbs, or likes to throw snowballs at friends, we’ve got you covered. Here’s our rundown on a few top picks, some of the warmest mittens in the world. 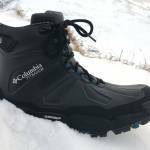 We tested these through frigid Minnesota winters, during cold Colorado outings, and while traveling across North America in search of snow-laden adventures. We regularly hike, bike, ski, and board in these mittens. We’ve even had a few snowball fights and an epic snow angel competition for good measure. While this list doesn’t cover every mitten ever made, suffice it to say we’ve been thorough. And here we’ve narrowed it down to our favorites. These are the mittens we can’t stop raving about, the hand covers we recommend and rely on all winter long. Described as cocoons for the hands, these mitts are indeed stuffed full of PrimaLoft insulation, the same fill used in cold-weather sleeping bags. This was one of our favorites back in 2007, and it’s still a strong contender. However, the price has increased by about $30 since then. The Mercury Mitts are now $110 but still a good buy in our mind. They’ll last for several years, and, with a removable liner, they can be used in frigid or also kinda-cold weather. 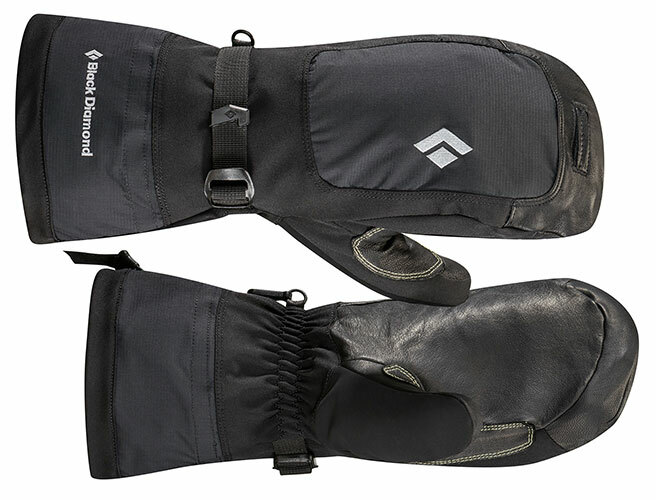 With the newest rendition of the Mercury Mitts, Black Diamond added a “trigger finger” that separates your index finger from the rest, increasing dexterity without surrendering too much warmth. These mega-mitts are wonderfully warm and made for Mount Everest climbers and South Pole scientists. They are puffy, PrimaLoft-stuffed, waterproof mitts that have kept our hands toasty in extreme temps as low as -30 degrees F.
Caveat: The abundant insulation creates a mitt that lacks dexterity — you could easily grip a ski pole, but anything much more than that is difficult. Mountaineering is fine, but don’t try ice climbing in them, and even riding a fat-bike is hard depending on dexterity requirements to shift and brake. Amazingly, these mittens have only gone up $5 since this article was first published in 2007. They cost $115 and are worth it if you need an uber-warm mitt that will last for years. 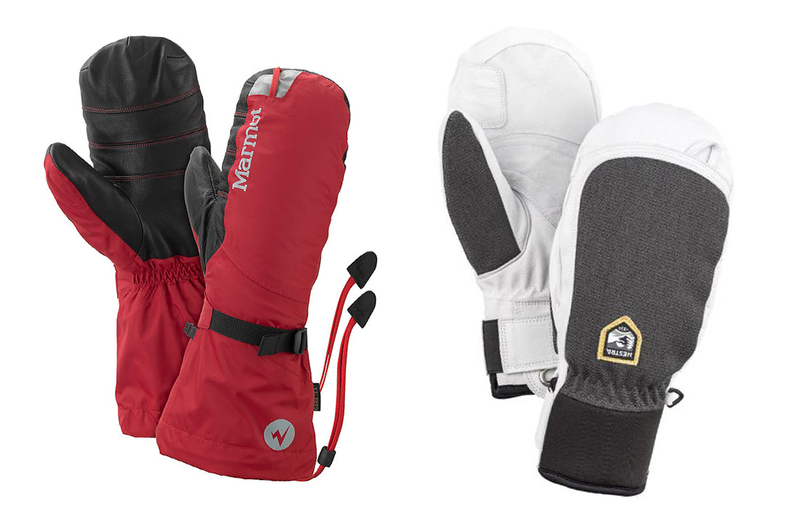 Marmot does make an even warmer mitt if you don’t mind shelling out big bucks. The company’s 8000 Meter Mitt costs a hefty $275 and is designed for high-altitude cold. It’s really three mitts in one, including a waterproof shell with a Gore-Tex mitt insert as well as removable 700-fill goose down mittens. These mittens are a finger-warming, hard-working bargain. The Gore-Tex inserts keeps hands dry even in sloppy conditions, and the the one-handed cinch strings keep snow out. 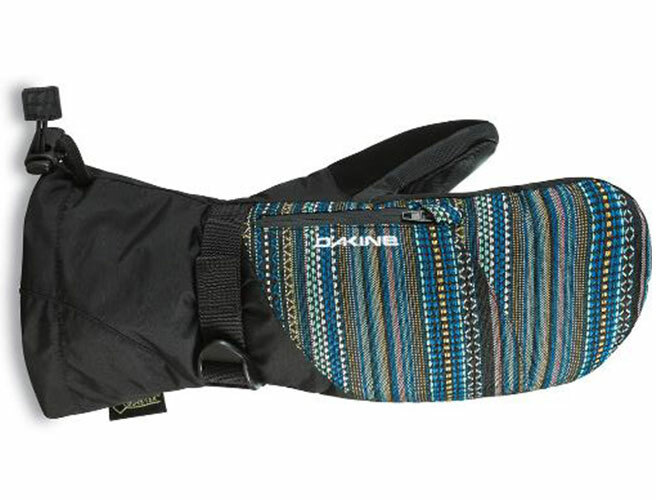 Testers love the removable fleece liner, which can easily be washed and is even touchscreen compatible. And on really cold days, pop a hand warmer in the zippered pocket for an extra dose of heat. Designed for mountaineering and high-elevation adventure, these mittens prove warm even in the coldest conditions. The leather palm provides plenty of grip, and the three-panel thumb construction allows for even better dexterity to grab gear. We like the longer cuff for its all-around sturdy construction, keeping snow from sneaking in. Perhaps best of all is the thumb insulation that keeps the secluded digit warm all day long. Keep your hands warm without breaking the bank. For anyone looking for uber-warm and wonderfully waterproof mitts, let us introduce the Oven Mitten. Constructed of premium pigskin and treated with Sno-Seal waterproofing, water stays out even on wet snow days. Just remember to give your leather regular love (care tips outlined below) to ensure years of happy cold-weather use. First tested during the Yukon Quest Dog Sled Race, these two-part mittens provide superior warmth — even when temperatures plummet to -40 degrees. Wiggy’s has proudly made everything in the U.S. since 1986. 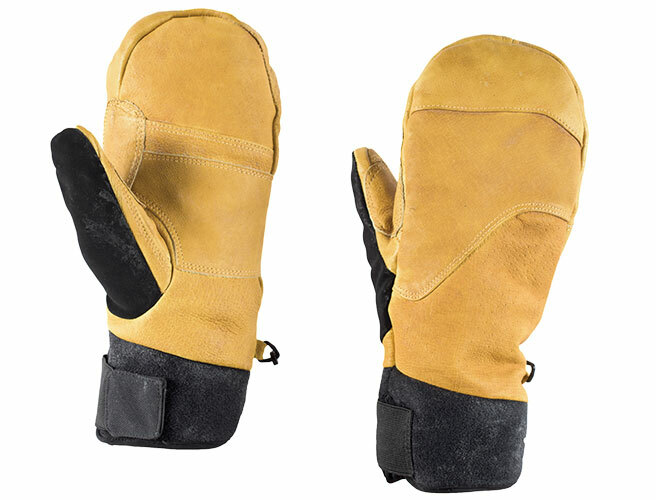 The exterior mitten shell is constructed of a strong, waterproof material, and the inner lining is filled with 24 ounces of a specialized fill known as Lamilite. Anyone looking for a super-warm mitten that’s made in the U.S. will be happy with the Extreme Arctic Mitten. Among the warmest in the brand’s line and constructed with a multilayer ripstop nylon, these technical, versatile mitts are super warm. 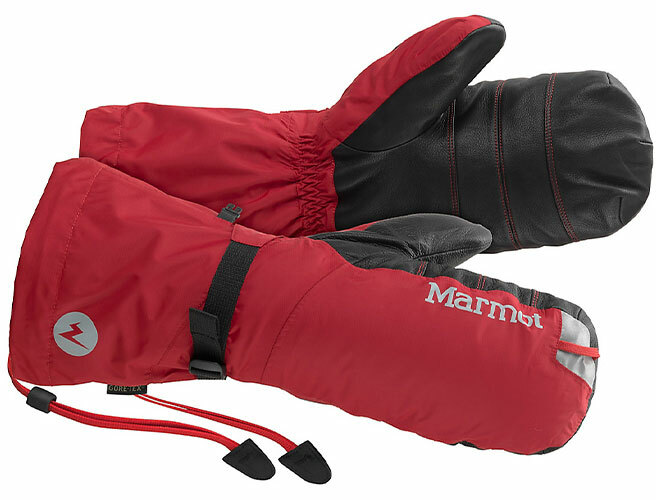 Made with a jacket-like outer fabric, the mitts use a three-layer, 70-denier Gore-Tex material. This makes them waterproof and breathable.Their removable PrimaLoft One insulated glove liners provide extra protection in cold, damp climates or for higher altitudes. 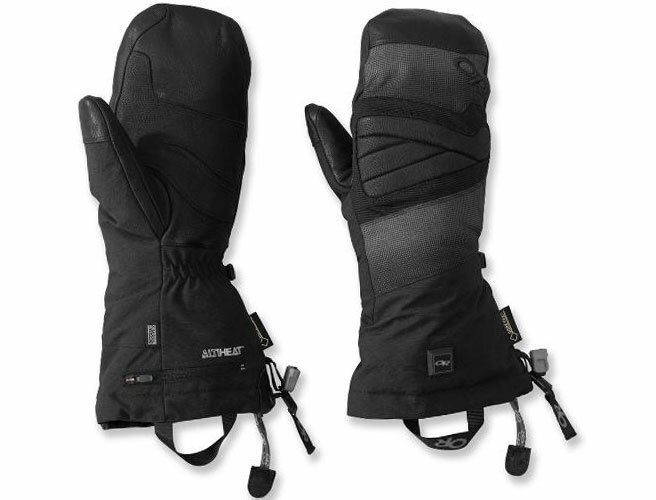 The SuperCinch gauntlet closure locks out cold air and snow by sealing off the wrist. For climbers, a carabiner loop lets you clip the mitts in when you need dexterity and temporarily bare hands on a route while messing with a rope and your gear. Looking for a supercharged mitten? The Lucent could be just what you’ve been dreaming of. Rechargeable lithium-ion batteries stash in a pocket at the wrist and provide hours of hand heat. Even without the heater turned on, these mittens prove impressively warm and light with EnduraLoft insulation. And the Gore-Tex inserts mean your hands will stay dry too. Some have complained of defective batteries, but we’ve never had any issues. The Lucent doesn’t come cheap, but for those with poor circulation, Raynaud syndrome, or just regularly cold hands, it could be money well spent. 1. Spot clean. Skip the full wash whenever possible and opt for a spot clean. Wipe down with a mild soap and water. Allow to air dry. 2. Remove liner. If your mittens have separate liners, remove them and wash as needed. If the entire mitten absolutely needs a thorough washing, use tech-specific wash like Granger’s Performance Wash on the delicate cycle. Lay flat to dry. 3. Condition leather. Leather can be a great waterproof material, but it needs proper care and attention. First, rub down the mitten with a damp cloth to remove any grit. Next, massage a leather wax like Sno-Seal into the leather. Allow to air dry at room temperature overnight. Use a soft cloth to remove any extra wax and get ready to enjoy your supple, waterproof mittens. Now that your hands are covered, let’s take care of those feet. Got a favorite mitt that’s not mentioned here? Tell us in the comments and we’ll check it out for future updates.